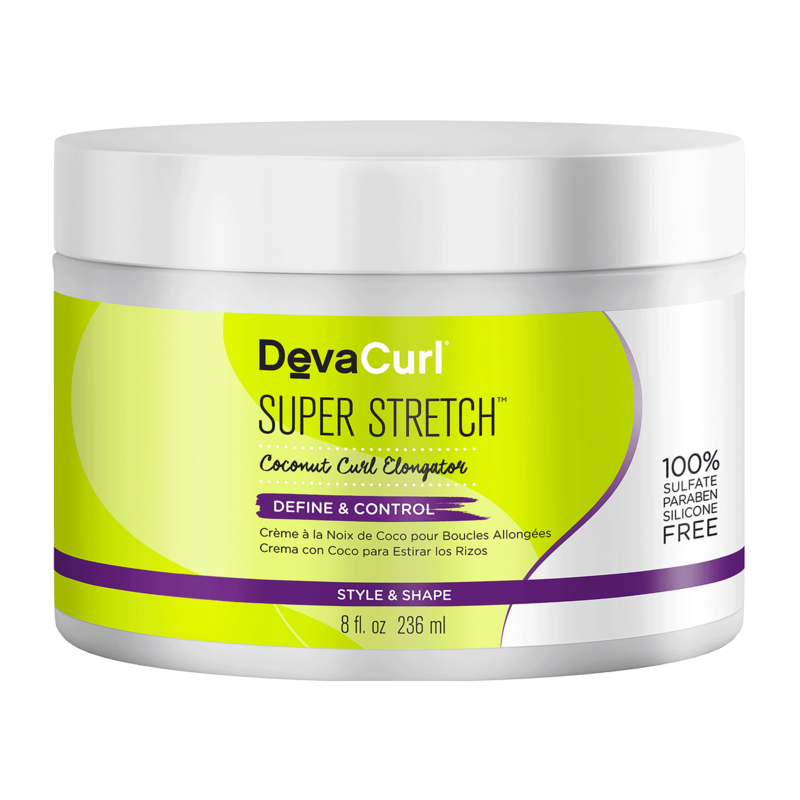 Super Stretch has all of the ingredients your curls love. COCONUT OIL - Moisturizes and ?elongates curls without compromising definition. CASTOR OIL - Restores nourishment while sealing in shine. SHEA BUTTER - Conditions hair for long-lasting softness. ALOE - Hydrates and soothes hair and scalp for lightweight, bouncy curls. Light Moisture, But No Stretch! "This is a moisturizing cream that has a nice fragrance. It is a little lighter than the Supercream. I have afro textured hair, so the cream did not elongate my texture, or give my hair much definition. However it is a cream that is softer, less oily and less sticky than some of the other elongation products I've tried on the market. I would not recommend using this product with other gels or foams from Deva Curl or any other line because the product may possibly separate on the hair, and clump in some areas, making look like there is dandruff (which was my experience)."